Question 1: You have only believed in God for a little more than a decade. You are still a rookie. I have lived the better part of my life and studied religions for decades. I can tell you responsibly, there is no God in this world, and there has never been any Savior. The whole affair of believing in God is too vague. It is completely impractical. We are both knowledgeable people; we should look at matters according to the facts and science. We should believe in scientific theories such as materialism and Darwinism. Why do you have to believe in God? We communists only believe in atheism and the theory of evolution. You need to know that Darwin’s theory of evolution is one of the most important scientific theories in the history of science for mankind. According to the theory of evolution, we can be sure that everything was created by the work of nature. Man is the accidental product of nature’s biological evolution process. Man had evolved from the ape. This has a sufficient theoretical basis. This shows that man was not created by God. The words written in the Bible are myths and legends that cannot be taken seriously. I advise you to learn more about materialism and Darwinism. These are very practical theories that can resolve doubts. I believe that when you see it clearly, you will have a correct understanding of religious beliefs and come out from the illusory faith. Only by following the CCP will you have a future. Answer: The CCP is an atheistic party. It naturally believes in materialism and Darwinism. But what is the result? Materialism and Darwinism have been denied and rejected by most people. More and more people are accepting God and returning to God. 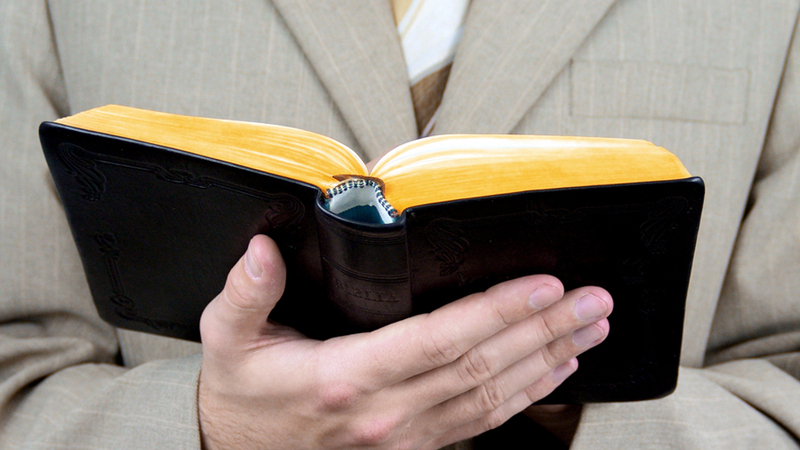 More and more people believe that God’s word is the truth. Now the world has reached the end of the last days. God's work has come to the final step. God will show all His deeds, so that people in the last days will see that all things in heaven and on earth were created by God, and God rules over everything. Just as Almighty God says, “How many creatures are there living and reproducing in the vast expanse of the universe, following the law of life over and over, adhering to one constant rule. Those who die take with them the stories of the living, and those who are living repeat the same tragic history of those who have died. And so mankind can't help but ask itself: Why do we live? And why do we have to die? Who is in command of this world? And who created this mankind? Was mankind really created by Mother Nature? Is mankind really in control of its own fate? …For thousands of years mankind has asked these questions, over and over again. Unfortunately, the more that mankind has become obsessed with these questions, the more of a thirst he has developed for science. Science offers brief gratification and temporary enjoyment of the flesh, but is far from sufficient to free mankind of the solitariness, loneliness, and barely-concealed terror and helplessness deep within his soul. Mankind merely uses scientific knowledge that the naked eye can see and the brain can comprehend to anesthetize his heart. Yet such scientific knowledge cannot stop mankind from exploring mysteries. Mankind does not know who is the Sovereign of all things in the universe, much less does he know the beginning and future of mankind. Mankind merely lives, perforce, amidst this law. None can escape it and none can change it, for among all things and in the heavens there is but One from everlasting to everlasting who holds sovereignty over everything. He is the One who has never been beheld by man, the One whom mankind has never known, in whose existence mankind has never believed, yet He is the One who breathed the breath into mankind's ancestors and gave life to mankind. He is the One who supplies and nourishes mankind for its existence, and guides mankind up to the present day. Moreover, He and He alone is whom mankind depends on for its survival. He holds sovereignty over all things and rules all living beings beneath the universe. He commands the four seasons, and it is He who calls forth wind, frost, snow, and rain. He gives mankind sunshine and brings the coming of night. It was He who laid out the heavens and earth, providing man with mountains, lakes and rivers and all the living things within them. His deed is everywhere, His power is everywhere, His wisdom is everywhere, and His authority is everywhere. Each of these laws and rules are the embodiment of His deed, and every one of them reveals His wisdom and authority. Who can exempt themselves from His sovereignty? And who can discharge themselves from His designs? All things exist beneath His gaze, and moreover, all things live beneath His sovereignty. His deed and His power leave mankind with no choice but to acknowledge the fact that He really does exist and holds sovereignty over all things” (“Man Can Only Be Saved Amidst the Management of God” in The Word Appears in the Flesh). Since the creation of the world, God has done three stages of work. God has expressed many truths in every stage of His work. The whole Bible is the record of God's work in the Age of Law and the Age of Grace. Then Almighty God came and has done judgment work in the last days, expressing all the truths for the cleansing and salvation of mankind, most of which are recorded in the book The Word Appears in the Flesh. Although we do not see the spiritual body of God, we can see all the words God expresses in every age when He appears to work. It fulfilled the words of the Bible: “In the beginning was the Word, and the Word was with God, and the Word was God” (Jhn 1:1). Since the corruption of mankind by Satan, God has been speaking and working to save mankind. In the Age of Law God worked in Israel and promulgated the law and commandments to guide mankind's life on earth. In the Age of Grace, God became flesh as the Lord Jesus and did redemptive work in Judea. 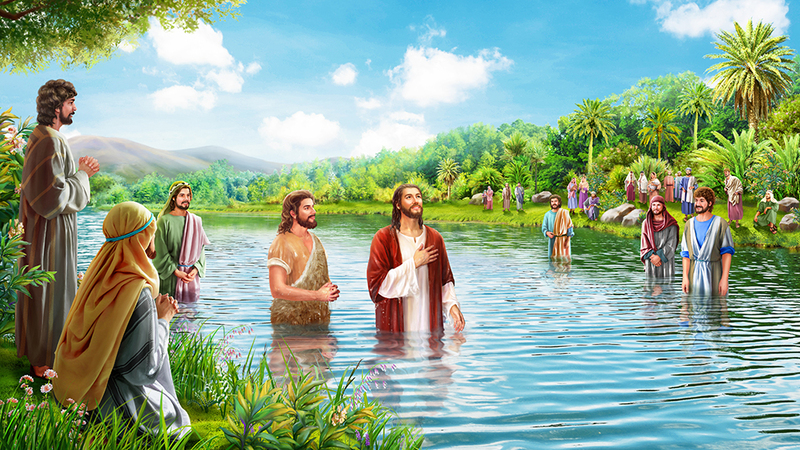 In the last days, Almighty God appears in the flesh and does His work in China. 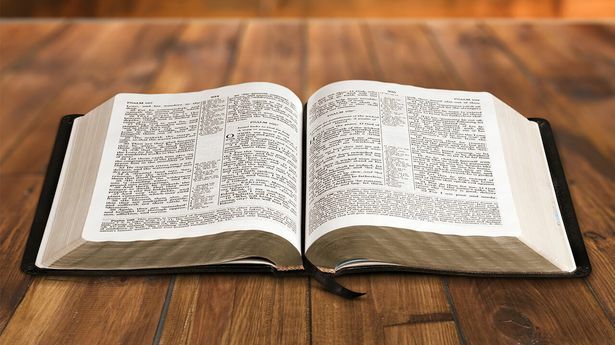 The word of God recorded in the Bible and the word of God expressed in The Word Appears in the Flesh in the last days are the fact that God speaks and works in the world to guide and save man. If it were not for God's Spirit, who could speak such powerful and authoritative words? Man cannot see the Spirit of God, but he can hear the word expressed by God’s Spirit. This is enough to prove that the Spirit of God has been speaking and working to guide and save mankind. Man can only believe in God according to God's word. When he prays to God with his heart, he can feel the work of the Holy Spirit and the existence of God. You have not believed in God, read the Bible and God’s word, or prayed to God, so you cannot feel the existence of God. In the last days, God became flesh as the Son of man to speak and work among people. All the words expressed by Almighty God are the truth with authority and power that no one can utter. This proves that it is the Spirit of God that speaks, and the Spirit of God that is realized in the flesh to appear and do His work. After reading The Word Appears in the Flesh expressed by Almighty God, I could clearly feel that these words originated from God. It was God speaking to mankind. So I accepted Almighty God. After experiencing God’s work for more than a decade, I have felt the authority and power of God's word, and experienced the Holy Spirit’s enlightenment. I saw the wonderful deeds of God. In my heart, God’s authority, power, omnipotence, and dominance are too real! It can be said that all those with a heart and spirit can see the fact of God’s true existence and God's dominance over everything from all the things God has created and from all the truths God has expressed. The Lord Jesus said, “Heaven and earth shall pass away, but my words shall not pass away” (Mat 24:35). 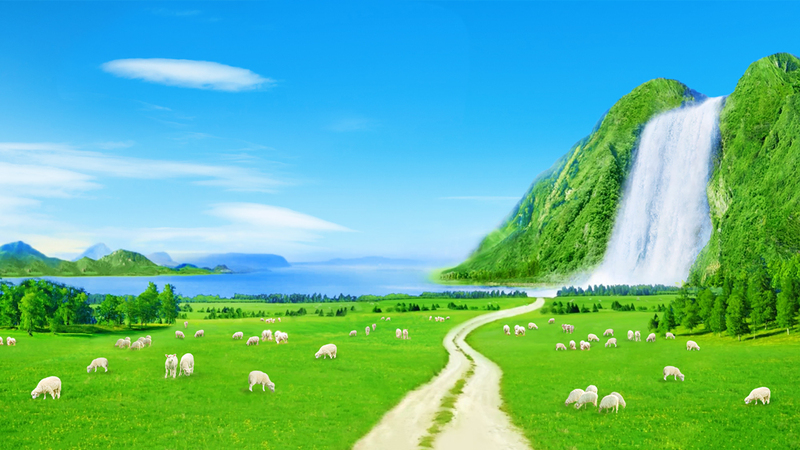 Almighty God says, “Heaven and earth may pass away but not one letter or one stroke of what I say will ever pass away” (“The Fifty-third Utterance” in The Word Appears in the Flesh) From the fact that every prophecy and every word of God are being fulfilled and achieved, it can be seen that only the word of God is the truth. Mankind as a whole must see the omnipotence and dominance of God. Previous：Question 2: We believe, by putting our faith in and following the Lord, we can attain eternal life. The Lord’s word backs this up: The Lord Jesus said, “I am the resurrection, and the life: he that believes in me, though he were dead, yet shall he live: And whoever lives and believes in me shall never die” (Jhn 11:25-26). “But whoever drinks of the water that I shall give him shall never thirst; but the water that I shall give him shall be in him a well of water springing up into everlasting life” (Jhn 4:14). These passages are the Lord Jesus' promise. The Lord Jesus can grant us eternal life, the way of the Lord Jesus is the way of eternal life. And the Bible says, “He that believes on the Son has everlasting life: and he that believes not the Son shall not see life; but the wrath of God stays on him” (Jhn 3:36). Is the Lord Jesus not the Son of man, is He not Christ? We could gain the way of eternal life by faith in the Lord. But you testify that Christ of the last days will bring us the way of eternal life. I don’t quite understand this, we are all followers of the Lord Jesus Christ. Why is this not enough to attain the way of eternal life? So why do we also have to accept the words and work of Christ of the last days? Next：Question 2: I haven’t seen God, haven’t seen how God works and how He dominates the world. It is hard for me to recognize God and accept God. From my study of religious beliefs for so many years, I think that religious belief is merely a spiritual sustenance and a means to fill the spiritual vacuity of mankind. Didn't all those who believed in God finally die? No one saw which person went to heaven or hell. I see all religious beliefs as very vague and unrealistic. With scientific development and human progress, religious beliefs will likely be abandoned and eliminated. We still need to believe in science. Only science is the truth and reality, which no one can deny. Although science has not denied God, it has not witnessed the existence of God either. If science can really determine that there is God and witness that God dominates everything, then we will believe in God too. We communists just believe in science. Only by believing in science and developing science will human societies continue to progress. Science can solve many real problems of human societies. What can believing in God bring to people? Other than some temporary spiritual comfort, what else is it good for? It does not solve any practical problems. So, believing in science is more realistic than believing in God, much more realistic. We have to believe in science.